The entrance to Hawne Basin, under the bridge, marks the normal limit of navigation on the Dudley No 2 Canal. Straight ahead the canal once continued to reach the Worcester & Birmingham Canal at Selly Oak but is now a short length of moorings. 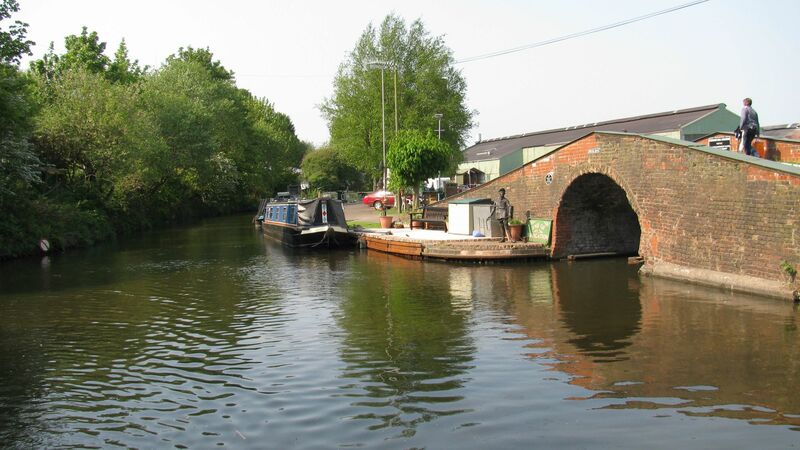 Restoration is planned, as the Lapal Canal, following a similar route to the Dudley No 2 Canal and taking the route over the top of the hill with additional locks instead of through the collapsed Lapal Tunnel.